It’s one of Ottawa’s most sparkling jewels, and now the Rideau Canal will shine even brighter for residents in the Glebe and Old Ottawa east. 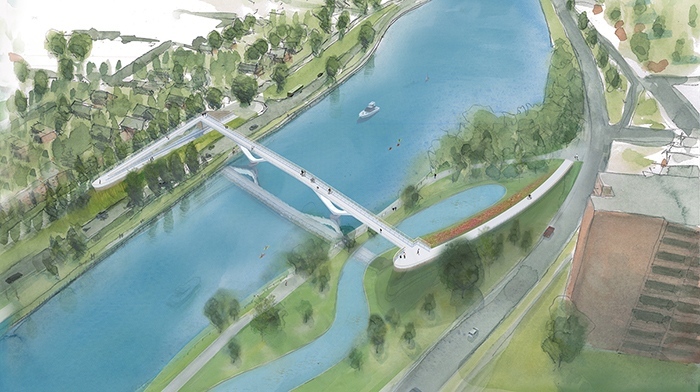 Federal Environment Minister and Ottawa Centre MP Catherine Mckenna, today announced a new pedestrian and cycling foot-bridge will be built over the canal connecting Fifth Avenue in the Glebe with Clegg Street in Old Ottawa east. “It will make it easier for kids who are going to school. It will make it easier for parents who are commuting to work,” said McKenna. The new footbridge that will cross the canal just north of the Canal Ritz restaurant, costing a total of $21 million, half of that paid for by the federal government, the other half expected to be shared between the city and the province. The announcement is part of the Federal Government’s $2.97 billion investment in transportation projects across Ontario. 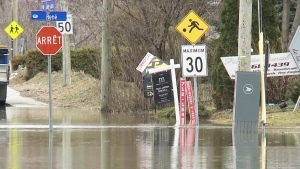 Ottawa will receive $156 million to help fund 57 projects. Foot-bridge construction will begin at the end of 2017. The bridge will open in 2019. The bridge is part of the city's official plan.